Villa Shabbat is nestled in the highlands of Guatemala's country-side and surrounded by Mayan villages, our rental house is located in one of the most exclusive, up-scale and sought after gated community in Lake Atitlan. It is perfectly located for the long term vacationers, those seeking a temporary retirement home, long weekend break or a leisurely mid-week holiday seeking time to rejuvenate and escape the hustle and bustle of big cities. Located only 2 kms from San Lucas Toliman, the Yacht Club of Atitlan is the oldest, safest, and most luxurious gated and vacation communities in lake Atitlan.? Villa Shabbat might not have the lake view as the other homes in lake Atitlan, but only a few steps from the house you will immerse yourself into the most beautiful and manicured gardens overlooking lake Atitlan, with breathtaking views, and they are all yours to enjoy. We will help you coordinate your airport transfers from and to the lake back to airport or you can finish your adventure in Antigua Guatemala a UNESCO World Heritage, we will organize your itinerary with full of adventures such as horse back riding, zip lines, and kayaks, with private tour guide and private boat pick up directly in one of our private docks at the Yacht Club. Our nightly rates include maid service daily, and continental breakfast for up to 7 guests we can arrange for extra meals at an extra cost and private nurse if necessary. The house can accommodate 7 guests, however we can provide up to 3 roll away beds at an extra charge. Our home is located inside an upscale community with 24/7 man security watch, we are convinced you will discover paradise on earth. Come visit us soon! Our vacation home was built with a vision in mind, living in the US for over 25 years we wanted to find a place where we can escape the hustle and bustle the stress life of big cities and 'REST' Shabbat. We wanted to share and create family moments and we found it in Lake Atitlan. the Yacht Club is a finished community like no other around the lake. Where you will reconnect with family, create new memories that will last a lifetime. Finally you can give yourself and your family the vacation they deserve in luxury, comfort, and style without reaching deep into your wallets. A place where you can enjoy nature, explore a new culture and embrace yourself into the mysticism of the Mayan culture and best of all is affordable. Of course, enjoying the view of the trees and majestic mountains from the comfort of your home away from home and the commune areas is always a possibility if you just want to relax. There is so much to do in lake Atitlan that we are sure your days will be full of activities around the lake and inside the community. We want to ensure you spend quality time with your love ones, and be able to re-build that lost family time and communication. We discourage the use of TV and internet. There is only one TV in the living room to allow you to be with family at all times internet is limited. We have many family games to be entertain and spend quality time together, we are sure they will fill your days with memories. Step into a different world. 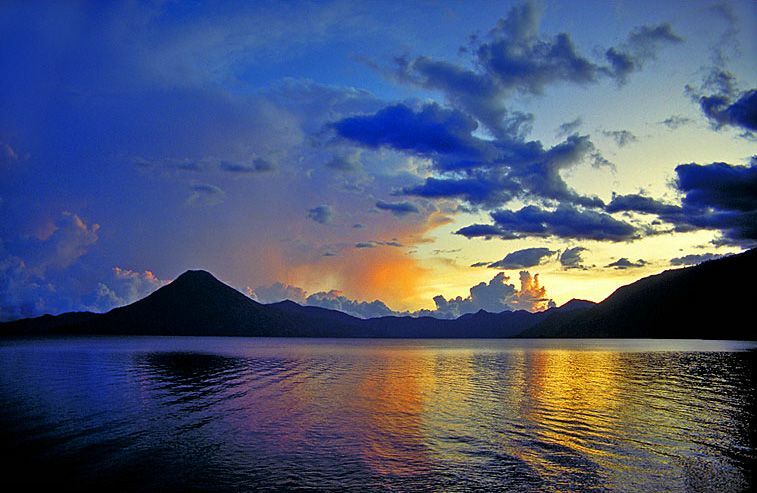 Lake Atitlán is one of the most exquisitely beautiful places on earth. Surrounded by volcanoes and steeped in indigenous culture, it's an intoxicating place to spend your vacation. Villa Shabbat (day of rest) is a lovely, comfortable new lake house, designed and built by local craftsmen. It's secluded away from tourists but yet close to everything, located inside one of the most exclusive gated communities in lake Atitlan 'The Yacht Club of Atitlan'. - We can arrange for airport pickup directly into the door steps of Villa Shabbat. - We can accommodate extra meals for you such us lunch and dinner. - We can coordinate for a private boat to come pick you up at one of our exclusives commune docks only for Yacht Club Owners. - We can have a tour guide to be with you at all times and take you to best kept secrets around lake Atitlan. Coming Soon, we are in the process in building a Mayan Sauna. El tiempo de vacaciones que pasamos con mi familia en el lugar fue excelente, la ubicación de la casa a pocos pasos de la playa privada es inigualable. La atención de sus propietarios fue impecable. Gracias, Luis fue un placer poder atenderles. Y esperamos verlos nuevamente.